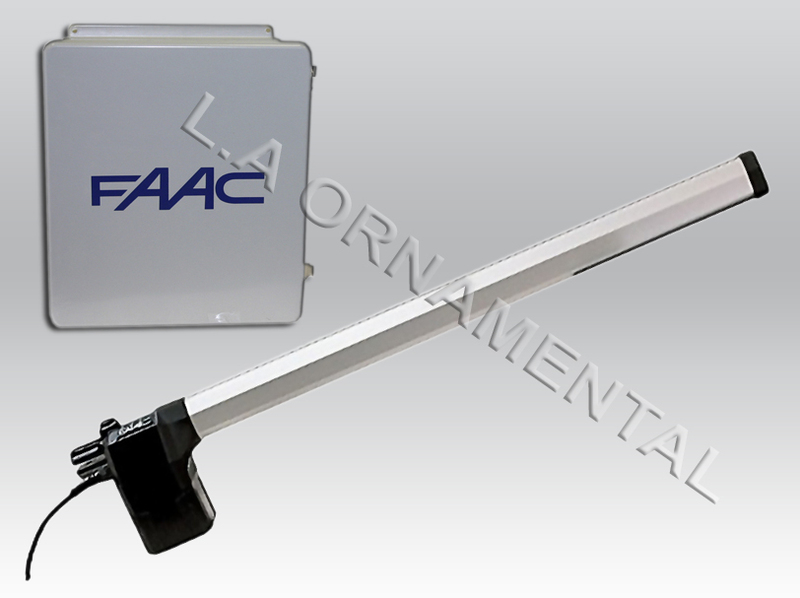 The FAAC Model 412 (104476 ) SX Electromechanical Swing Gate operator is designed specifically for light single family residential use. Standard features include slow down “soft stop” and mechanical locking in the opened and closed positions. A convenient manual release is also standard. The Model 412, like other FAAC swing gate operators, is inherently safer because it has fewer “pinch points.” In addition, the force it applies to move the gate is adjustable for extra entrapment protection. In the event of power failure, a battery backup is available. The versatile FAAC control panel allows for six operating modes including garage-door-like operation and a new HOLD OPEN function. The 412 can be mounted inside the gate and still allow the gate to open to the inside or to the outside.